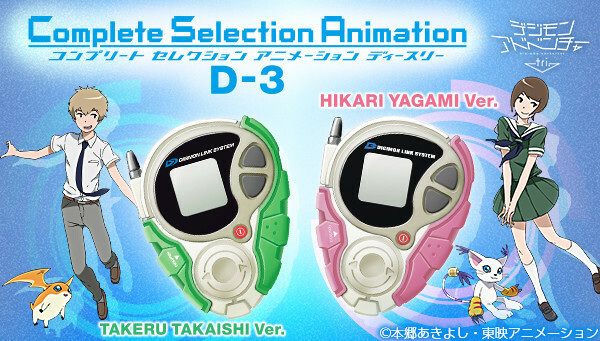 Following the well-sold first Digivice released in December 2015, Bandai’s official online store Premium Bandai today started accepting pre-orders for two types of “D-3 Digivice” featured in the Digimon Adventure anime franchise including the latest six-part tri., from its Complete Selection Animation line for adult anime fans, for a March 2017 release. 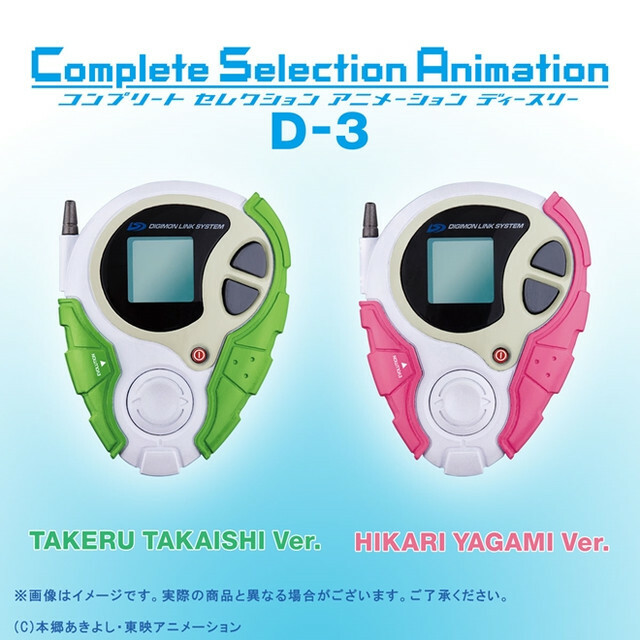 The pre-order price for both Takeru Takaishi and Hikari Yagami editions is 7,020 yen and both will be produced for a limited number of 6,000 in all. 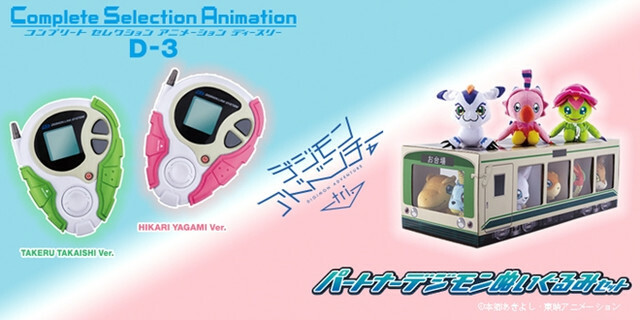 The 85mm toys include newly-recorded voices of the characters and their Patamon and Tailmon, and can also play short versions of “brave heart~tri.Version~” (90 seconds) and “Seven~tri.Version~” (120 seconds). 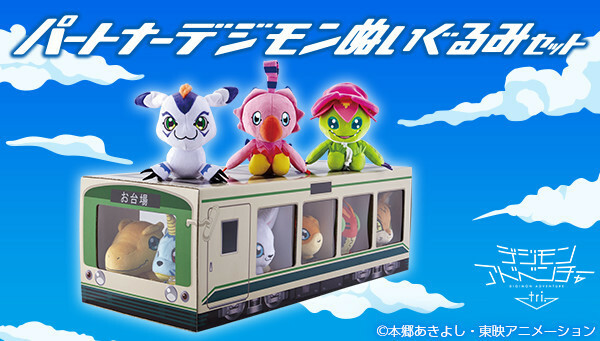 Alongside the D-3 Digivices, Bandai also revealed a new set of plush Digimon dolls featuring all the original cast including Agumon, Gabumon, Tentomon, Patamon, Gatomon, Palmon, Biyomon, Gomamon, and Meicoomon, who is a new addition to the digital crew.